Sherwin Vaz from Mangaluru, B.E. - B.Tech Graduate. 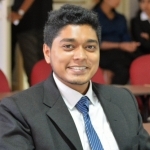 Sherwin Vaz is Master Of Business Administration and currently have no work experience. COMMUNICATION DIGITAL MARKETING HUMAN RESOURCE ADMIN.. HR MARKETING SEARCH ENGINE OPTIMI..
are one of expert skill area's of Sherwin Vaz . Sherwin Vaz is working in Human Resources industry.